Scars occur due to a number of reasons. They follow improper healing following trauma such as traffic accidents or open fractures, surgeries done in an emergency like situations and poor wound healing due to many reasons such as infection, diabetes, poor blood supply. Scars are often revised in visible areas when they interfere with the self esteem of an individual. Scar revision can be managed by both surgical and non-surgical methods. Some individuals have a process of keloid formation which means that the body heals by excess scarring. Such scars can be lessened by used of intra lesional injections spread over weeks to get good results. Other methods are microdermabrasion,surgical removal of a scar and use of tissues expanders. 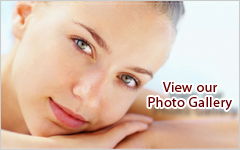 © Copyright 2012 - All Rights Reserved - Plastic Surgery Group Chennai.